SAYREVILLE, New Jersey (WABC) -- The death of an off-duty police officier who was found with a gunshot wound outside a movie theater in Sayreville, New Jersey, has been ruled a suicide. 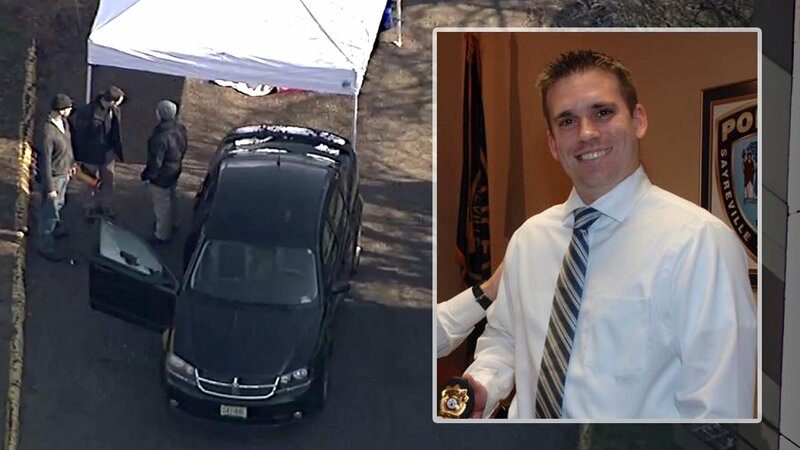 Police received a call around 7:15 a.m. of a body in the parking lot of the old Amboy Cinemas, where responding officers found Detective Matthew Kurtz deceased inside his personal vehicle. He was identified by sources as a nine-year veteran of the Sayreville Police Department who had worked in an undercover capacity. There is no word on the circumstances that led to the shooting, other than that it appears the officer took his own life. "We are gratified by the outpouring of support that we have received from our community, as well as from our brothers and sisters in law enforcement during this very difficult time. We continue to grieve for the loss of Matthew and his family remains steadfastly in our prayers. "Matthews's death sheds more light on an insidious predator that has taken his life and so many others in law enforcement as well. Sadly, suicide remains a leading cause of police officer deaths. Thus, the method by which he lost his life does not make our loss any less tragic. In fact, it leaves only a greater void as many questions will remain unanswered. "Matthew was clearly a 'cop's cop.' He was smart, hardworking, a volunteer in our community and a leader within the PBA. Incidents like these cause us to consider that while we have equipped and trained our Officers well for the external forces that remain a daily threat, more remains to be done to reduce those internal factors that are equally threatening. "I am reminded of the last paragraph in the Police Officer Prayer to Saint Michael, which reads: 'We will be as proud to guard the throne of God as we have been to guard the city of men.' The men and women of the Sayreville Police Department are confident that Matthew is now on that Watch and adeptly handling those duties. "Once again, we greatly appreciate the respectful and considerate support that has been received."